René Garcia Préval had his first turn as Haitian president the first elected in the country's independent history who served a full term lasting from the 7th of February 1996 to the 7th of February 2001, previously having briefly served as Prime Minister in 1991. Préval won the five year seat with 88% of the popular vote, making him the second head of state elected through a democratic process in Haiti's 200 years of history. Rene Préval used his presidency to influence the implementation of various reforms to the economy, leading to a significant fall in the rate of unemployment by the end of his term, and to support the investigation of instances of human rights violations perpetrated by the police and the military. He brought about the privatization of government companies and, after dissolving parliament in 1999, spent the duration of his presidency ruling by decree. 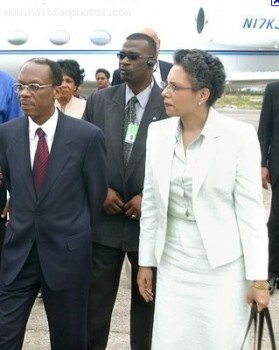 Security for Jean-Bertrand Aristide, the former President of Haiti, was removed as a part of an administrative decision made by Martelly administration. This decision came 48 hours after the appearance of the former president, Jean-Bertrand Aristide in court on May 8. This decision was made despite the fact that former heads of state are entitled to get security. Garry Pierre-Paul Charles, host of Scoop FM Radio, confirmed this news on Friday, May 10. Garry Pierre-Paul Charles reported that this decision was made by the Martelly administration because Aristide took the role of political arrival by making declarations on Thursday, May 9. The declarations made by the former head of the state included the possibilities of electoral sweep by the political party of Jean-Bertrand Aristide - Fanmi Lavalas but he did not mention the name of Jean Leopold Dominique during his declarations. The Martelly administration removed the security because political arrival is in direct violation of the laws of the Republic of Haiti. During an interview with Valery Numa at Radio Vision 2000 this week, former Haitian president, Ertha Pascal Trouillot, was showed little reserve. She managed to give us some important facts during her government. 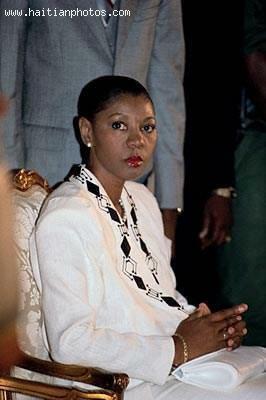 She was very hard on another former Haitian president. Ertha denounced a conspiracy created by former President Jean Bertrand Aristide and the Lavalas group in the objective of murdering her. She went into some details on the Coup D'etat orchestrated by the late Roger Lafontant one January 6, 1991. Ertha Pascal Trouillot also blamed Jean Bertrand Aristide for not taking the opportunity he had at the time to reconcile the nation with itself and at the same time bring Haiti on the path of development. Former Haitian president Jean-Bertrand Aristide who was expected to be present today (Wednesday, January 9, 2013) to answer questions regarding complaints filed against him by former Fanmi Se Lavi residents and members of cooperatives for fraud and embezzlement did not happen quite like that. Instead, the Government Commissioner of Port-au-Prince was the one who went to the residence of the former president. Jean-Bertrand Aristide was interviewed by Lucmane Delille was interviewed at the comfort of his own residence in Tabarre. Did Lucmane Delille feel the pressure by the Lavalas supporters? Is this a sign of what the year 2013 is going to be for former Haitian president Jean Bertrand? The former president of Haiti, Jean-Bertrand is scheduled to appear in front of the Prosecutor of the Civil Court of Port-au-Prince this January 3, 2013 to answer two separate complaints. The Fanmi lavalas leader is going to be buzy as he will deal with a group of former students of his social work "La Fanmi Se Lavi" as well as his alleged responsibility in bankruptcy for the fraudulent financial cooperatives in 2002 and 2003. Rene Civil, arrested several times for his criticism of Haiti's government, was recently released after 16 months locked up on fraudulent charges. 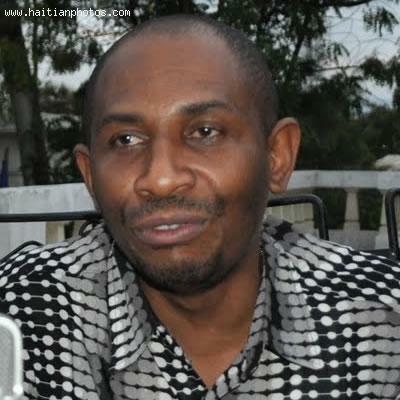 Active in left-wing politics, member of several grassroots activist organizations, he began as head of Jeunesse Pouvoir Populaire (JPP) after President Aristide's return from exile. Civil entered ghettos of Port-au-Prince, inspiring young people to join JPP in the fight for democracy. Rene Civil provided young people, not only an education to escape the mentality of their upbringing; he also provided financial means. To educate and enlighten Haitian youth, Rene Civil has empowered activists to challenge any issue in Haiti's corrupt political system. He has advocated on a variety of issues facing people of Haiti. In particular, he is an impassioned supporter of the poorest Haitians. Shortly before his arrest in 2006, he gave an eloquent speech about violence among the poor, its sources and implicit impact. Violence, according to Civil, is a lack of many basic rights and necessities. It is a lack of food, of livable shelters, of being uneducated that gnaws at the souls of Haiti's poorest. 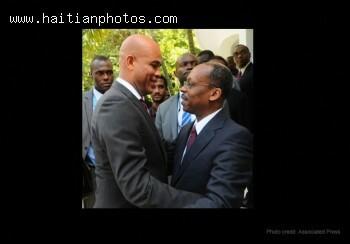 Small delay in the return of Jean-Bertrand Aristide to Haiti. Dr. Maryse Narcisse just confirmed on Radio Signal FM in Port-au-Prince that Jean-Bertrand Aristide will arrive in Haiti, not on Thursday but on Friday, March 18. According to information received by the "Haitian Joudalist", Jean-Bertrand Aristide already left South Africa to an undetermined country. From there, he will arrive in Haiti on Friday, two days before the scheduled presidential election in Haiti. Dr. Maryse Narcisse is the official spokesperson for the Fanmi Lavalas Party in Haiti. She occupies the position of Coordinator of Fanmi Lavalas. 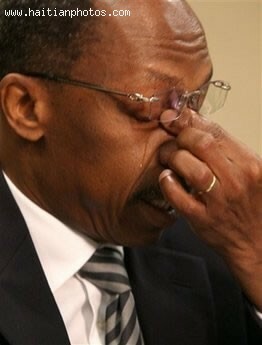 The return of Jean-Bertrand Aristide to Haiti is imminent. Friends, it is for real. Jean-Bertrand Aristide is definitely going back to Haiti soon. The key word is "IMMINENT". His return to Haiti is certain to take place in the next few days. "Sa sé Pawol Ki Soti Nan Vant Bef"
We have several sources that confirmed this. 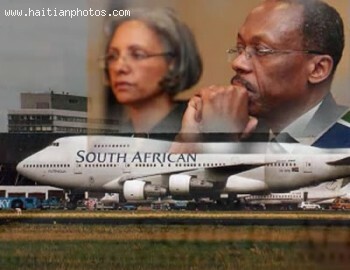 A South African official told Associate Press that Jean-Bertrand Aristide would return to Haiti in the next few days. AP also reported that Maryse Narcisse, head of Lavalas Executive Council, confirmed that his return is now certain to take place and that it will be an important event for them who have waited for so long.